Create regular expenses even quicker by adding them to your favourites. Adding an expense to your favourites will allow you to re-use this expense as a template, saving you from having to enter the expense details every time. When creating your expense, you can tick the Add to Favourites box. Once added, this expense will reside in your Favourites area. Alternatively, you can add the expense to your favourites once you have created the expense. 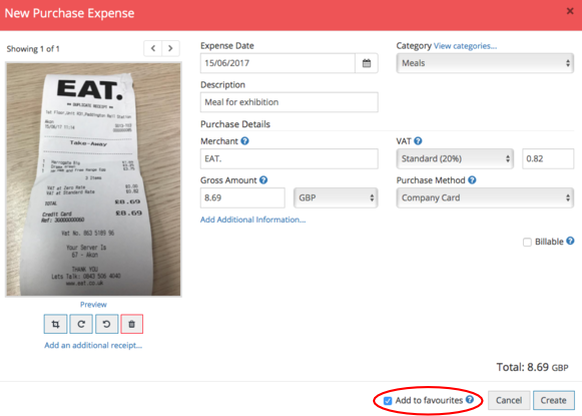 Simply expand the expense and click Add to Favourites. 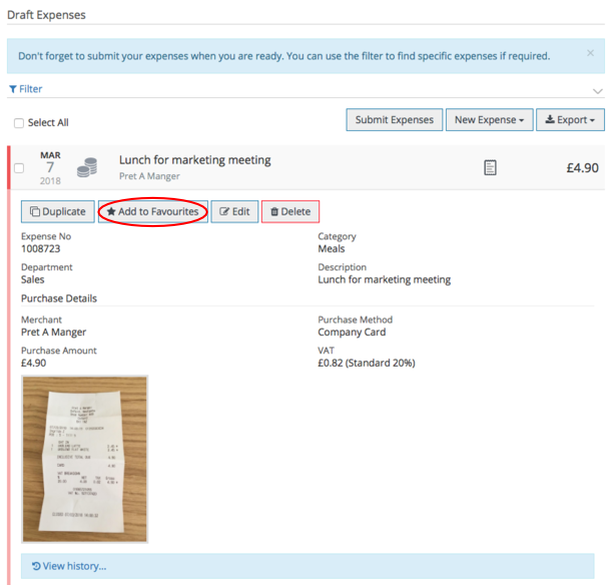 To create an expense from your favourites, navigate to the Favourites area, expand the expense and click New Expense. Once you have created an expense from your favourites, the expense will be sent to your Draft expense area.